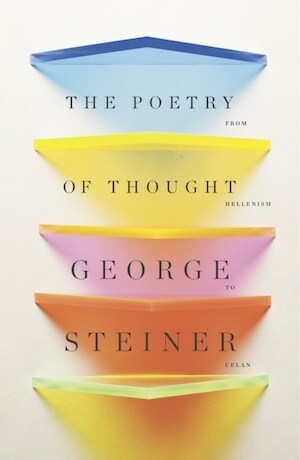 A new book by George Steiner is always an event. From one of the world’s foremost thinkers, a vision of the inseparable nature of Western philosophy and its living language. A unique, powerful, and necessary voice. The Poetry of Thought is denser in its language, more disquieting in its arguments, more in line with Steiner’s stronger works, such as Heidegger and many of the essays collected in No Passion Spent Steiner’s overall subject here is the interlocked nature of poetic language and philosophical thought, and how the intellect manifests itself through this connection.